A long day out on the slopes builds up a mountainous appetite like nothing else. That's why we've picked nine hunger-busting recipes that are ideal for a stay at a ski chalet and will keep you going on a full day's skiing. From paleo banana pancakes and grilled fish to turkey chili and decadent hot chocolate, here are our top, must-eat après-ski recipes for all you snow enthusiasts out there. 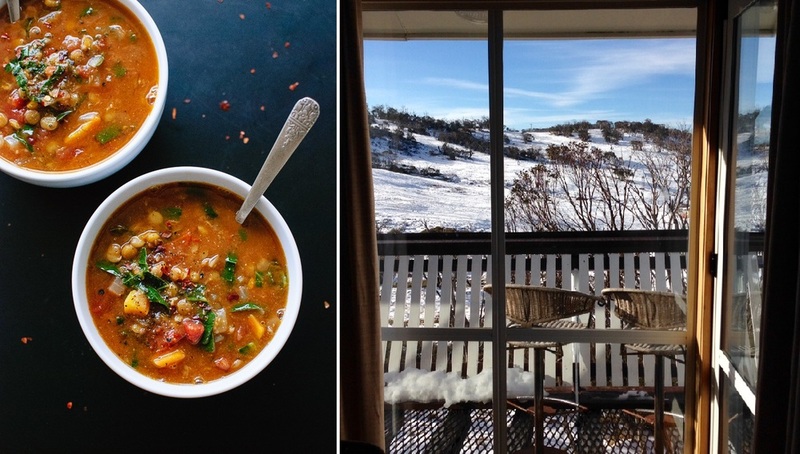 A hearty pre-ski brekky should set you up for a day on the snow. Resist the urge to pig out on fatty foods like bacon and sausages; they’ll only leave you feeling sluggish and the salt in them will soak up water from your body. Not a fan of grains or flour? No worries with this paleo recipe that’s compatible for all you snow bums living a gluten-free lifestyle. Besides deliciousness, bananas and eggs give you the same steady, slow energy release as grains, while eggs are chock-full of important vitamins, minerals and micronutrients for a healthy body. Who says dessert has to be calorific? Satisfy your sweet tooth the natural way with this mix of potassium-rich bananas, non-fat Greek yogurt, antioxidant-fuelled fresh berries, crunchy granola and yummy dark chocolate chips. Pleasurable goodness without the guilt. These are just a few of our all-time favourite mountain recipes and by no means a complete list. Skip the busy food stops at the bottom of the hill, prepare ingredients before your ski trip and you'll have all your meals covered. We also get excited about visiting the best dining experiences the resorts have to offer. Who wants to cook all the time anyway, right!